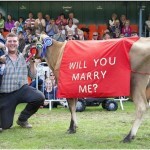 I’m currently writing an ebook for ‘farm wedding speeches’. The plan was to have it out for Christmas but between doing other things and the odd bit of procrastination (such as being sidetracked by ‘cow’ wedding cakes on Pinterest), I reckon it will be January before I have it ready to go on Amazon. 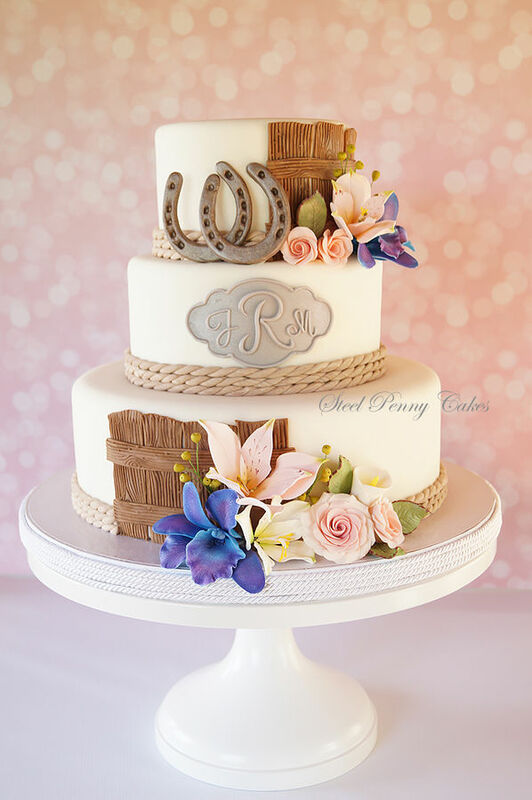 I decided to go looking for more wedding cakes for country and rural wedding and I’m really impressed by the variety and flair of the designs. 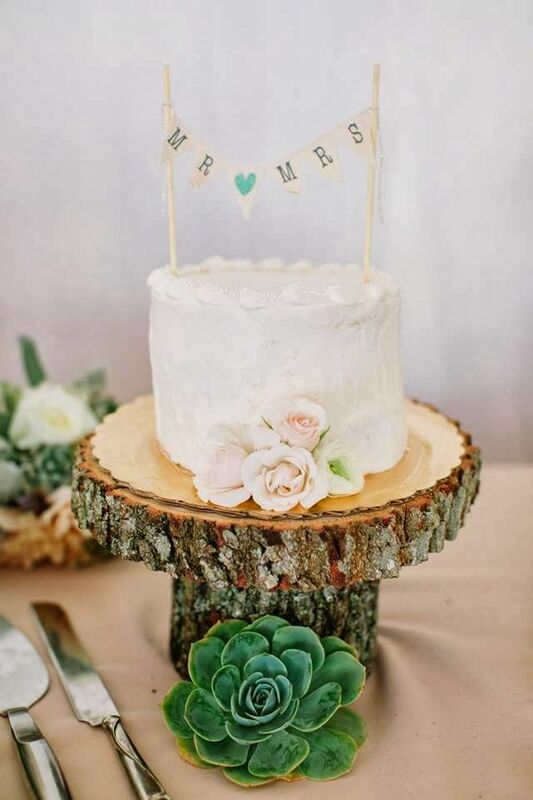 When we got married in 1992, I thought our three tier fruit cake with its white royal icing was the bee’s knees. 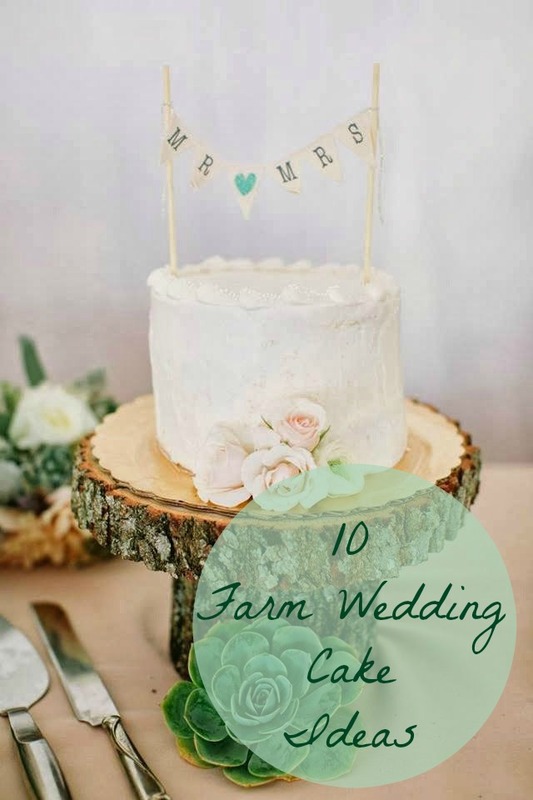 Brides and grooms are now spoilt for choice plus these designs really show how you can bring the farm theme into the wedding. You don’t have to be limited by going to the church on a tractor or carriage, the farm theme can carry on right through the day. 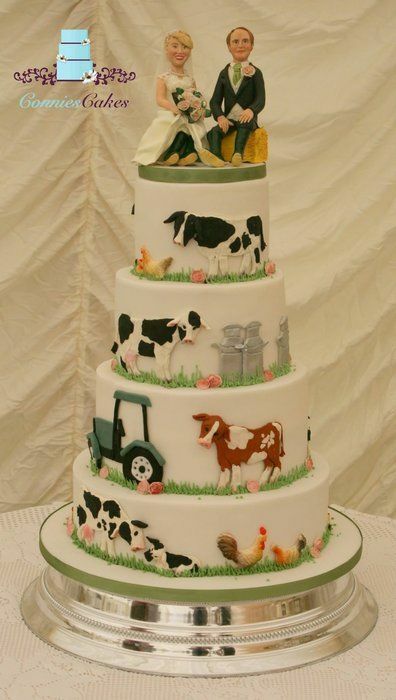 I guessed there would be many more farm themed cakes out there and I wasn’t wrong. 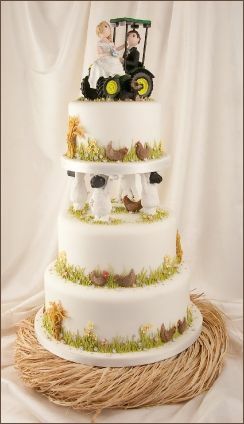 If you are getting married and would like to incorporate the farm into the cake design for some fun, do check these out. I’d love to hear if you were just as creative for your own wedding or if you think it’s all a bit much? 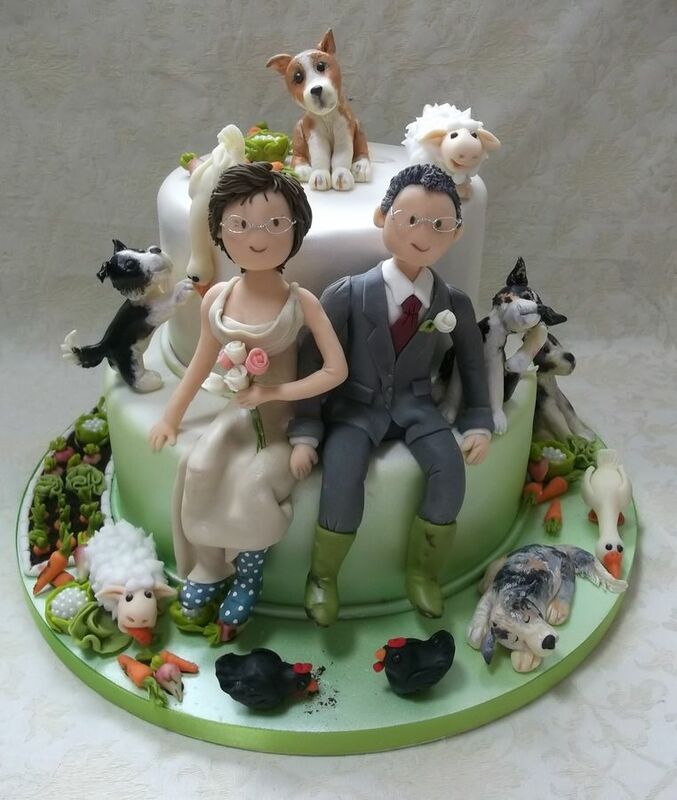 Couture Cakes – UK. Those supporting sheep have fun cheeky grins too and I love the hens. 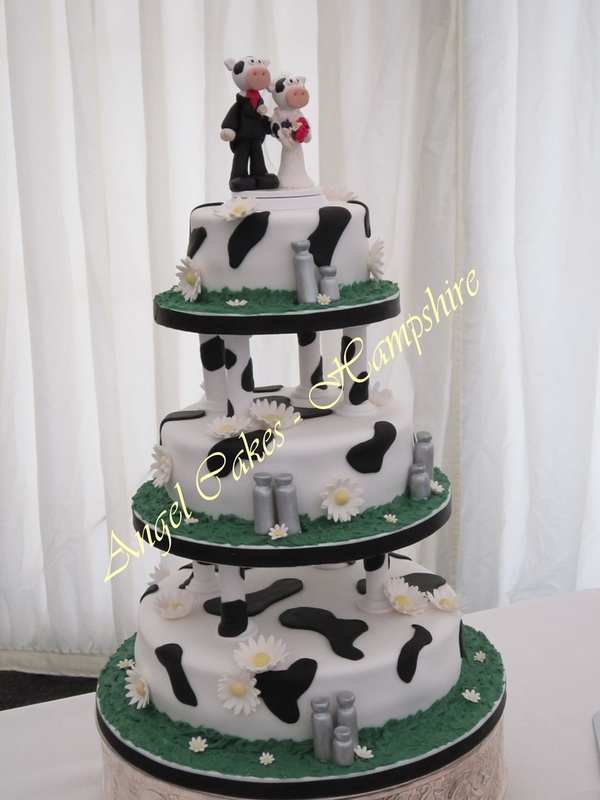 Cow Wedding Cake from Angel Cakes, Hampshire. I just love the addition of the churns. 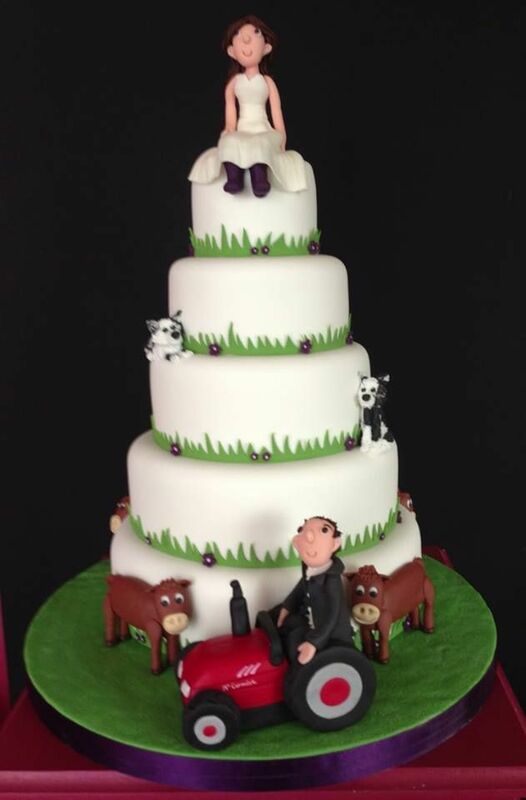 A more subtle ‘farm / horse’ themed cake from Cake Central. I love the fence panels. Spotted on Pinterest (but no link to website). Love the wellies and the muddy footprints. Another one from Cake Central. 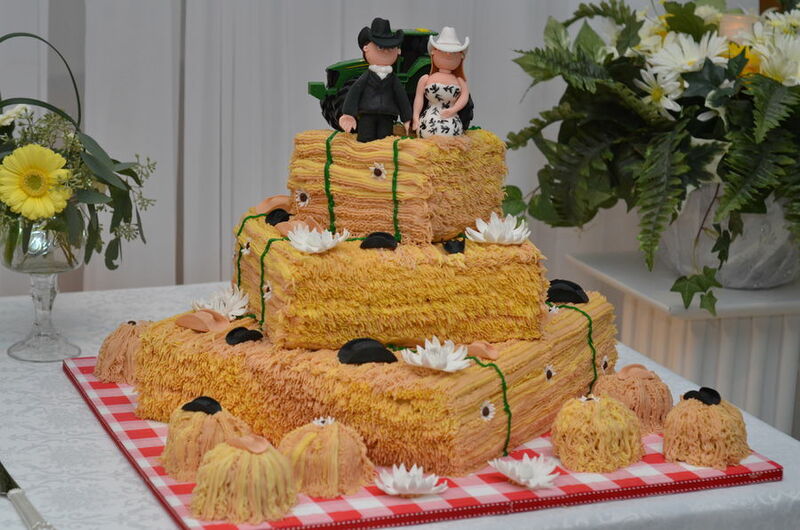 A rustic, hay in the field (roll in the hay maybe) type wedding cake. Cute and fun. This one reminds me of Rapunzel! Love his Limousin cows. 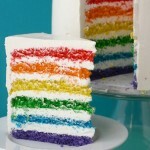 From Jenny’s Cakes? 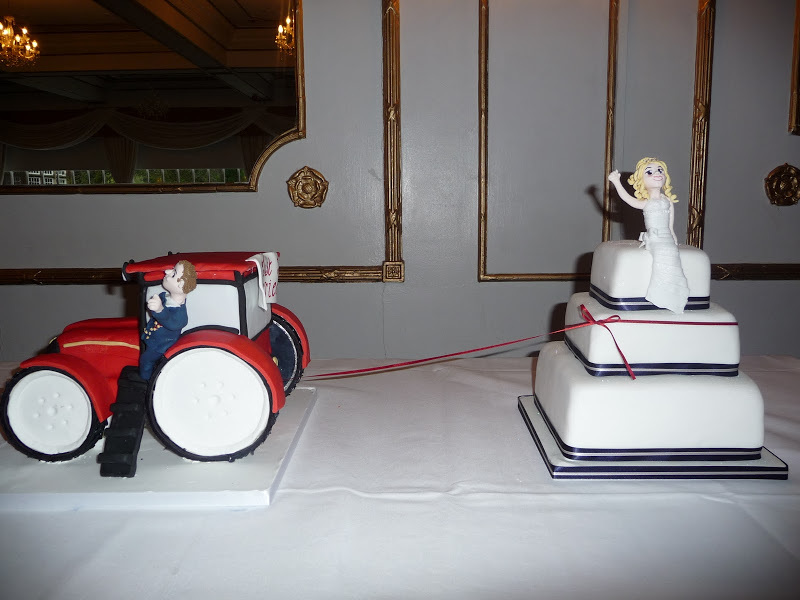 I’m really impressed by the inventiveness and talent in the design of these wedding cakes. Hard to choose a favourite – I love the rustic nature of the last one but I like the fun ones too – I think my favourite of those has to be the second one. Which is your favourite? 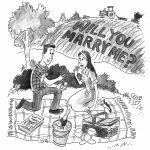 Proposing Marriage? 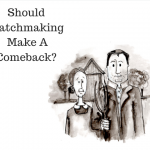 Should you buy the ring beforehand? 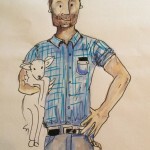 I love the one with the caryatid sheep and the one with the mud puddly, landy and footprints. Lovely stuff. Aren’t these just incredible! I like the second and third ones. How can people possibly cut into them? So much work has gone into them. I wonder how much they cost?! 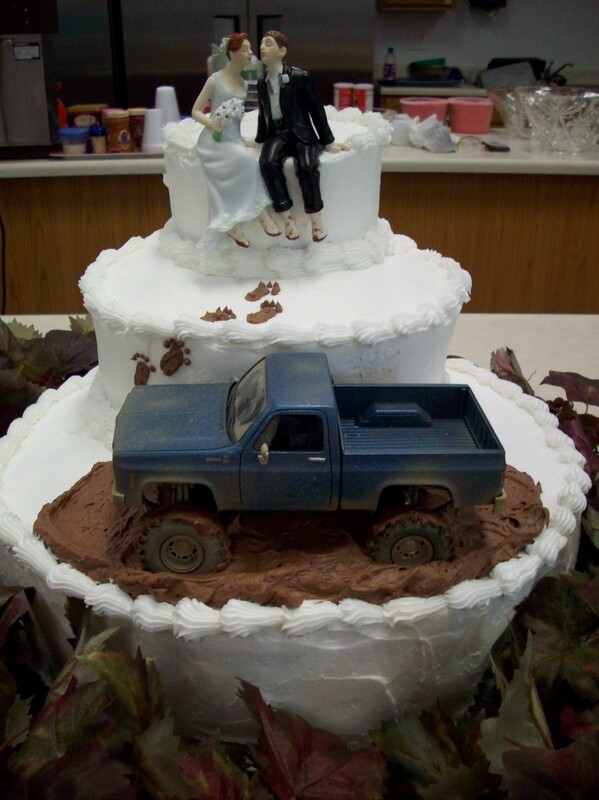 I didn’t mind the prices to be honest Sally but yes, wedding cakes can cost hundreds and hundreds. There’s such character in some of them. Cheeky fun too. Children In Tractor Cabs – Should It Be Allowed?